The Strasbourg tram network after the extension of tram line A to Graffenstaden on 23 Apr. 2016, the extension of line D to Kehl Bahnhof in Germany across the Rhine on 28 Apr. 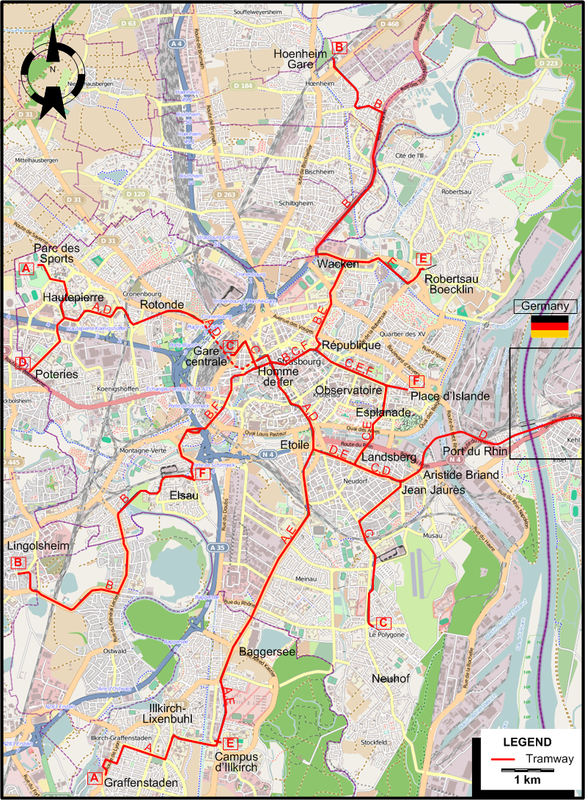 2017 and the further extension of line D to Kehl Rathaus (City Hall) on 23 Nov. 2018. Urban tramway (first generation): (horse-drawn): 22 July 1878 - 2 Feb. 1926; (steam) 1878 - after 1895; (electric) 13 July 1895 - 30 Apr. 1960. Urban tramway (second generation): 26 Nov. 1994 - today. Note: As Strasbourg belonged to Germany before 1918, its tram network originally extended across the Rhine to the city of Kehl and the countryside beyond. But these connections were interrupted in 1918, and never restarted. Therefore, dates and other information related to the right bank of the Rhine are not mentioned on this page. 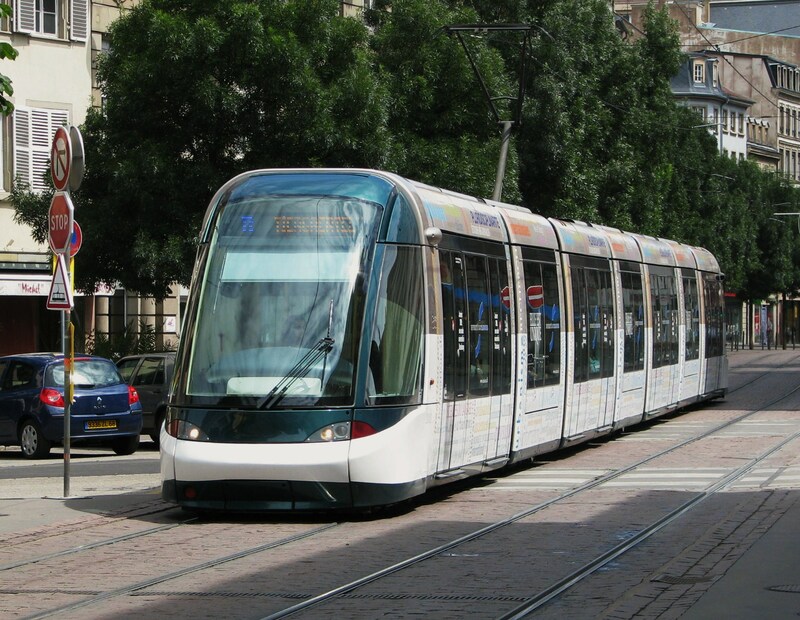 Haydock, D. "French progress: Strasbourg's futuristic tramway", Light Rail Review 6, 1994, p. 41-50. Muller, G. Génération tram. Strasbourg: Oberlin, 2000. 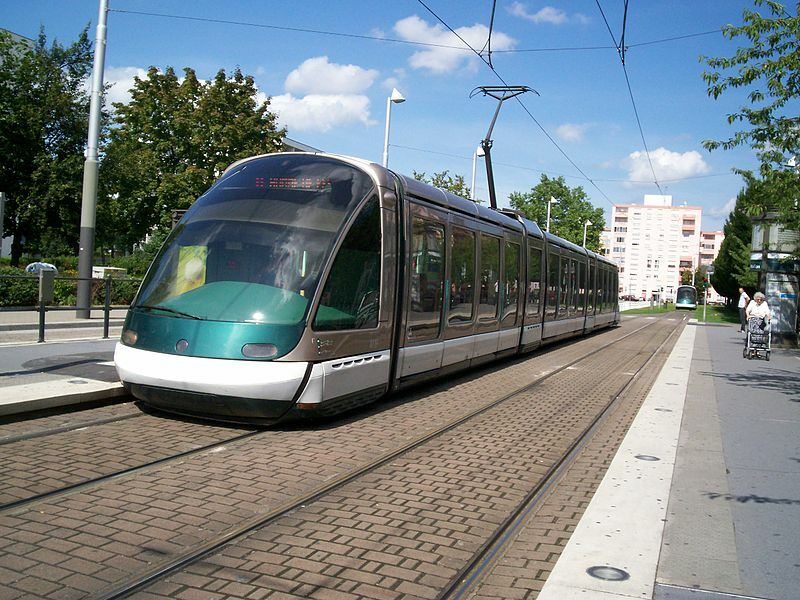 Pulling, N. "Systems Factfile No.15: Strasbourg, France", Tramways & Urban Transit, Dec. 2008 (71: 852), p.463-465. Pulling, N. "Systems Factfile No.48: Strasbourg, France", Tramways & Urban Transit, Sept. 2011 (74: 885), p.355-358. Wilson, J.S. 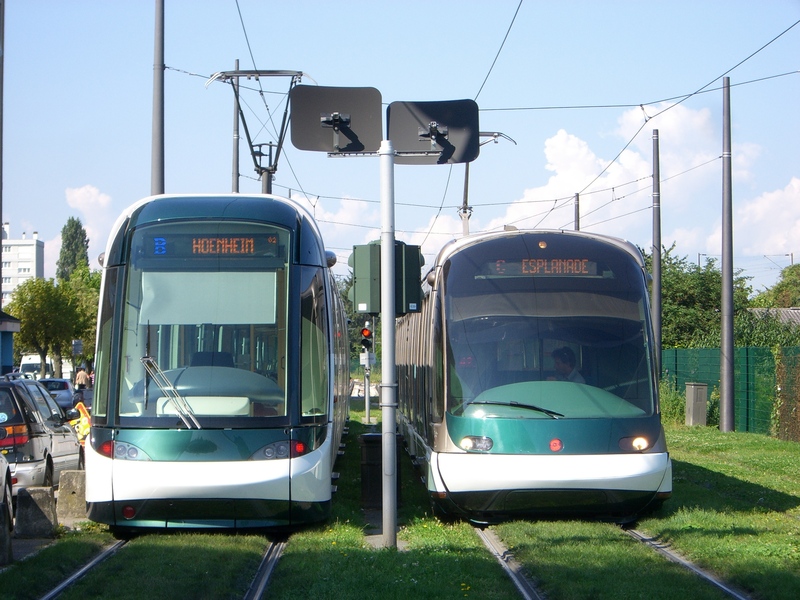 "Strasbourg opens its Eurotram service", Light Rail & Modern Tramway, Apr. 1995 (58: 688), p.90-92.